Yes!!!! 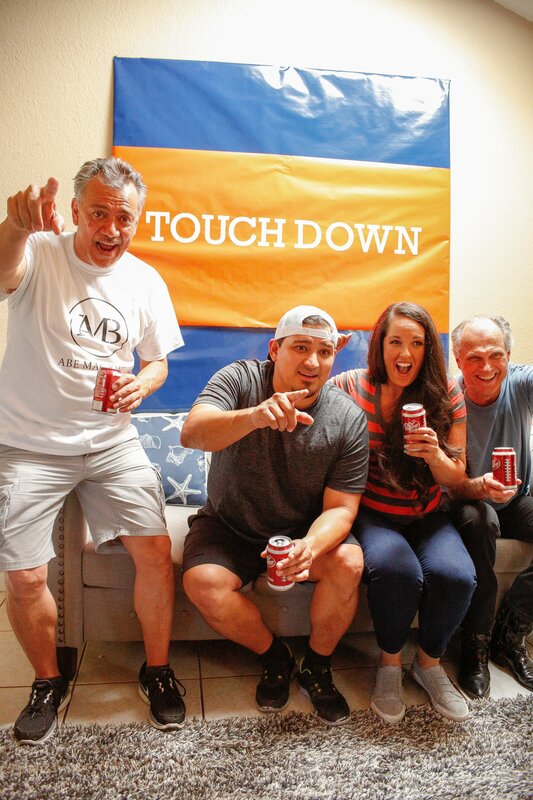 It's finally that time of year for College football!!!! My hubby and I went to rival colleges, but over the years, I've grown to love his team. It doesn't hurt that we live in his home town, AND my brother ended up going to the same school too. When our alma maters play against each other, I still cheer for my old school. 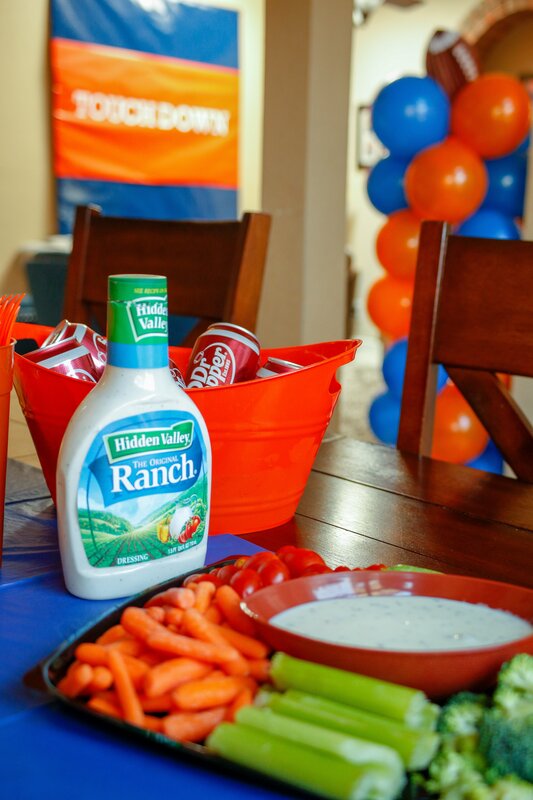 But every other game day, you can find me decking out our homegating parties in blue and orange. 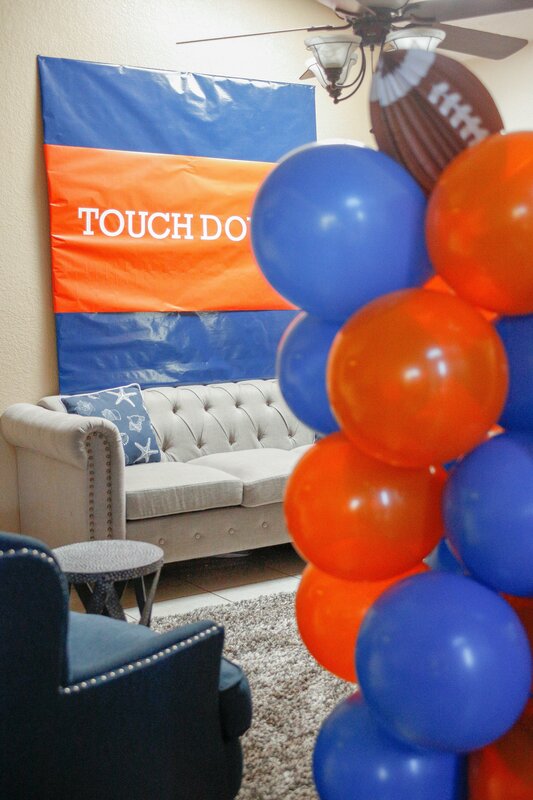 In fact, when I replaced my living room furniture over the summer, I had the college football team colors in mind specifically for homegating! 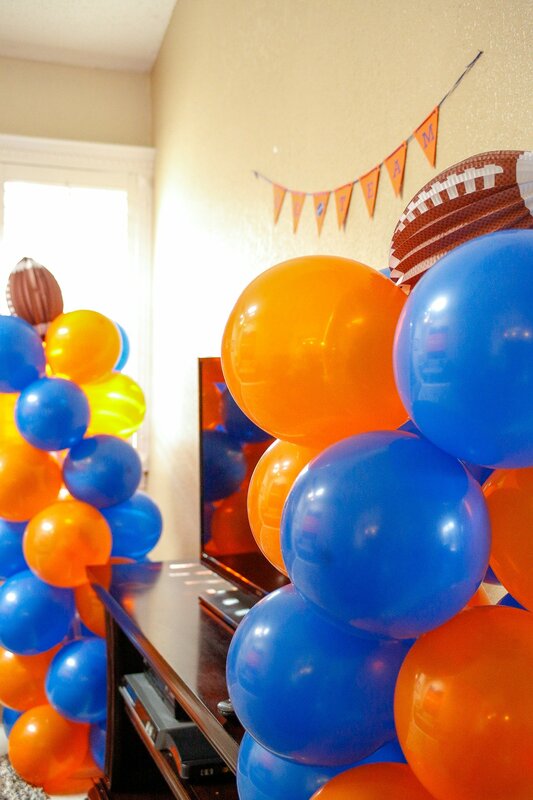 Although I used balloons, party banners, and that huge touchdown sign to show our team spirit, I also like to incorporate my hubby's old jersey in the decorations. 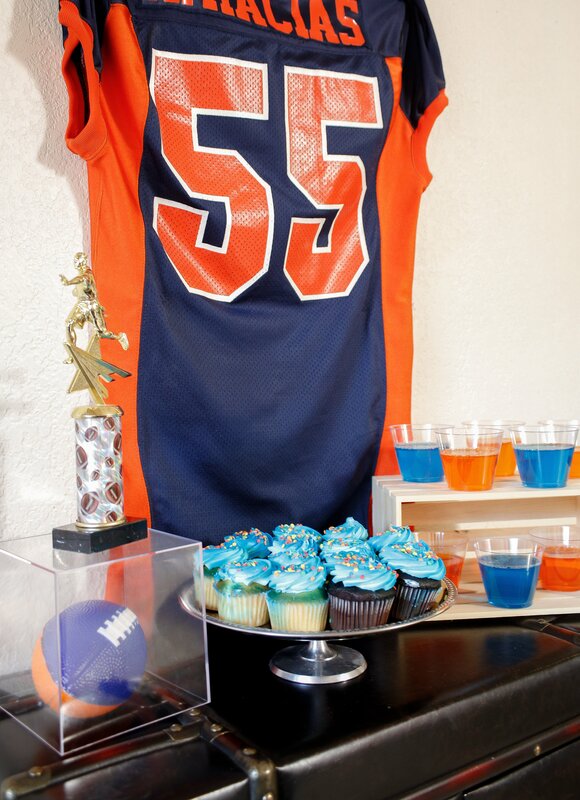 Blue and orange everything!!!! But it's not all about the decorations. 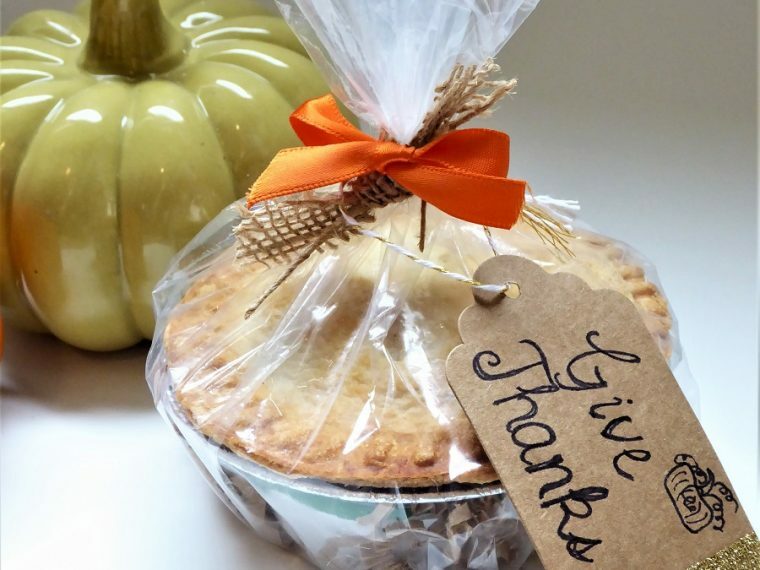 Any good party needs to have yummy food. That's why I love shopping at Walmart. It truly is a one stop shop for all my everyday and special occasion needs and I know I'm getting a great value. 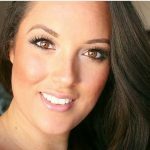 But since I started using the Walmart Online Grocery pickup, I love shopping there even more! I can literally shop from my sofa, which saves me time and money - I'm notorious for impulse buys at the checkout counter. 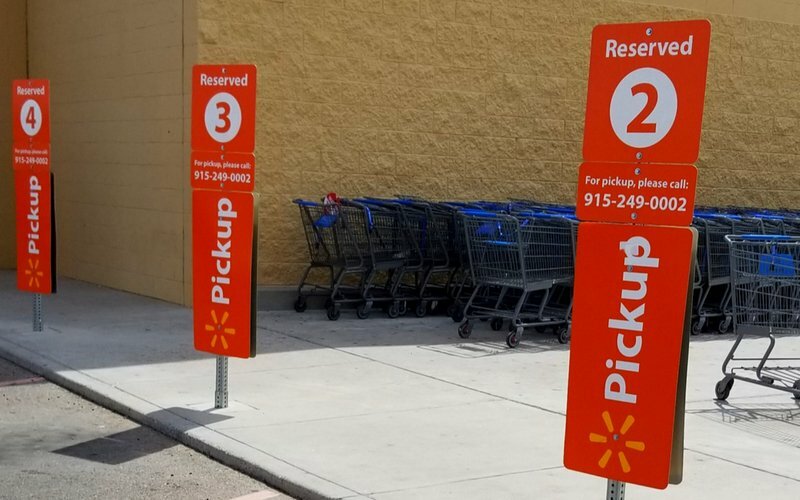 Then I just head to the Walmart Grocery Pickup area. My groceries are loaded straight into my truck and I don't even have to step out. So convenient! So what did I buy for this particular game day? 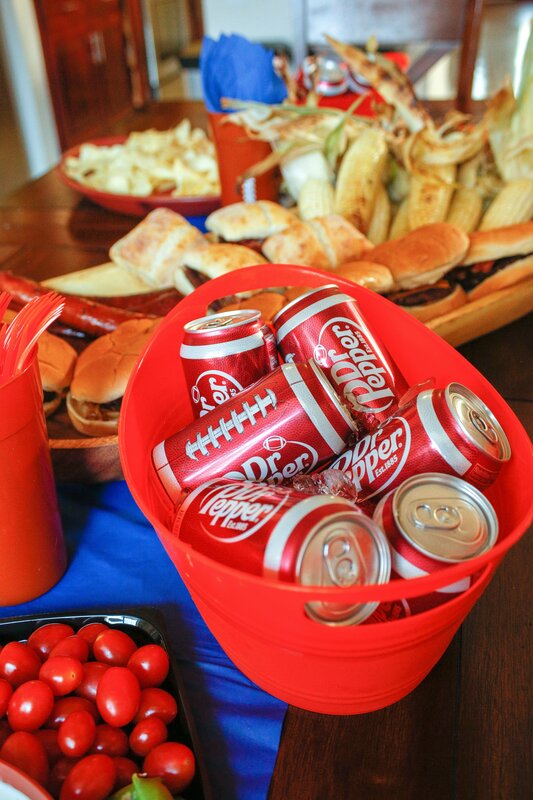 We always have Dr Pepper® at all of our football parties whether we're at home or out tailgating. 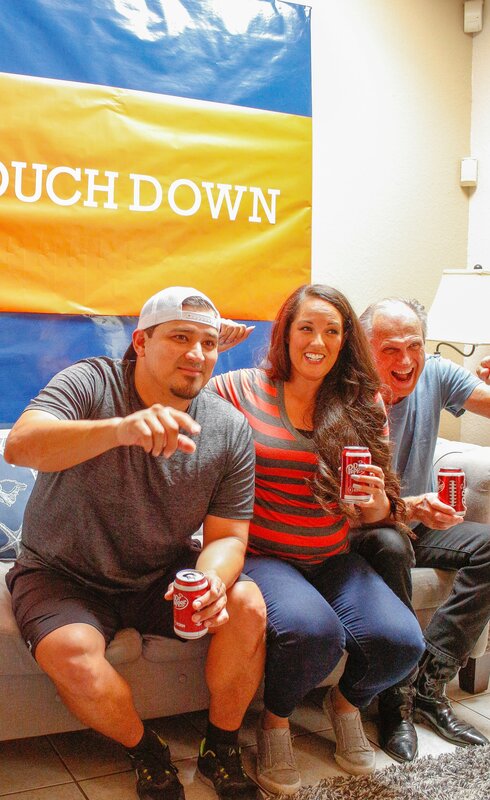 Dr Pepper is the official drink of college football fans. 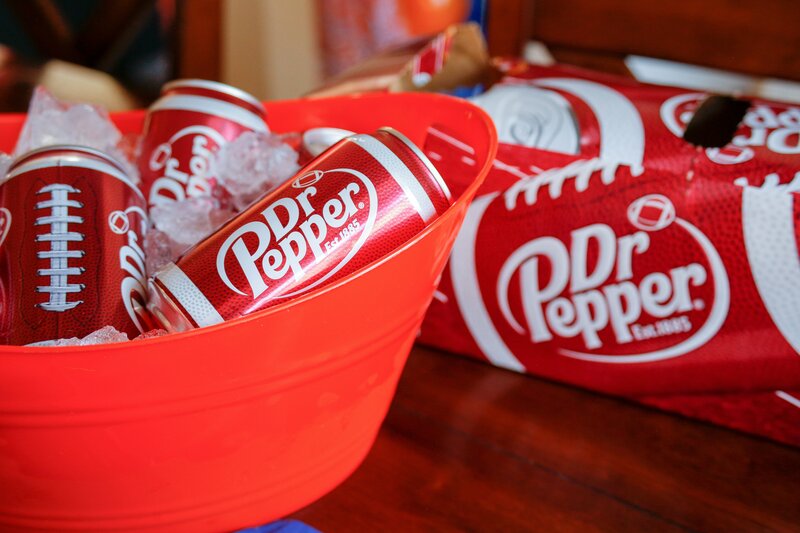 Those touchdowns are even more awesome with an ice cold Dr Pepper in your hand! 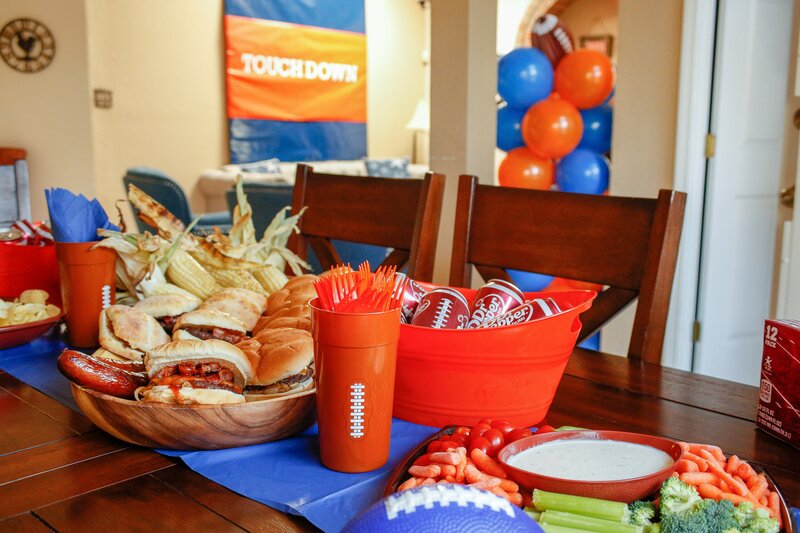 We love grilling at my house, especially on game days. 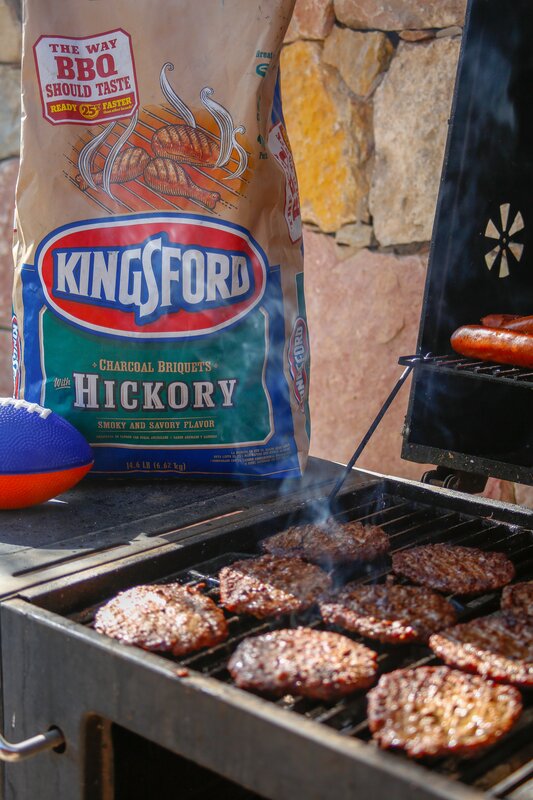 So I also picked up Kingsford® Original Charcoal with Hickory. The charcoal infused all our grilled food with a wonderful flavor. 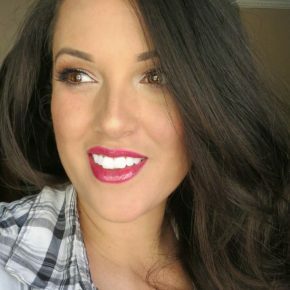 Kingsford charcoal is my favorite brand of charcoal because it's so easy to light and it maintains a consistent flavor. 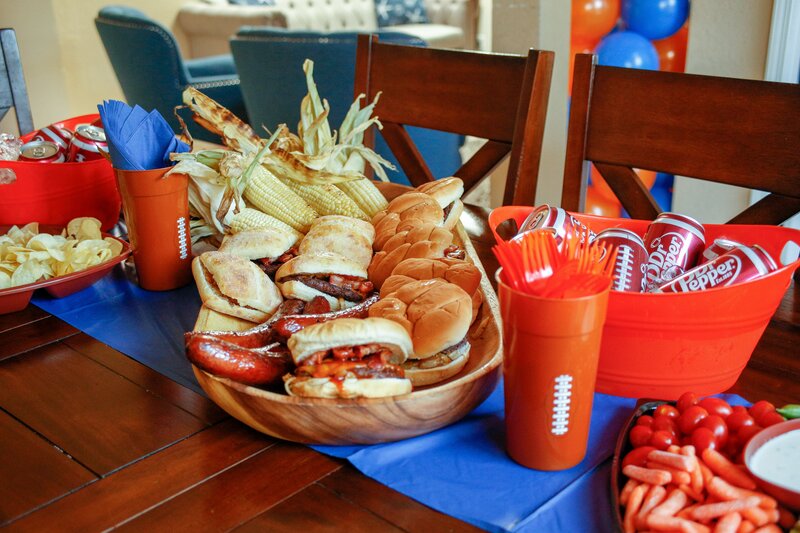 For today's game day menu, we grilled up corn on the cob, sausage, and cheeseburgers. Our cheeseburgers were specifically barbecue bacon cheeseburgers. 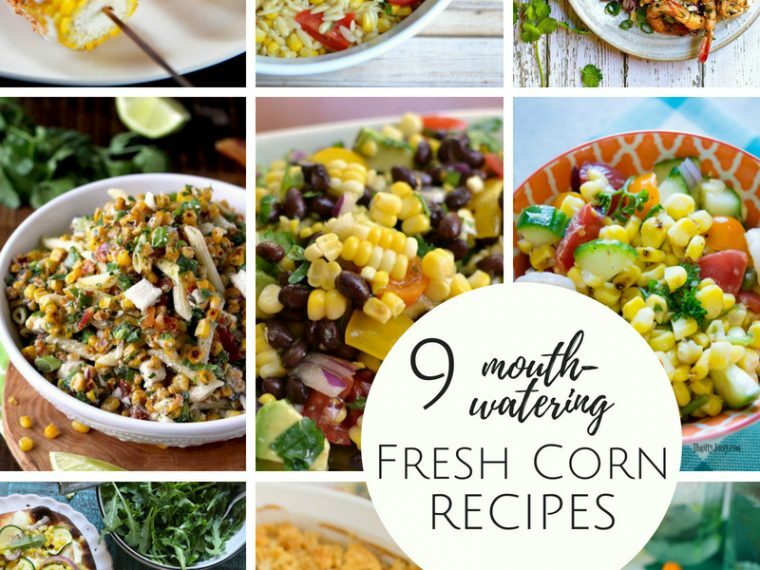 Prepare the sauteed onions and bacon. Grill the hamburger patties to desired doness. Add cheese to the patties. 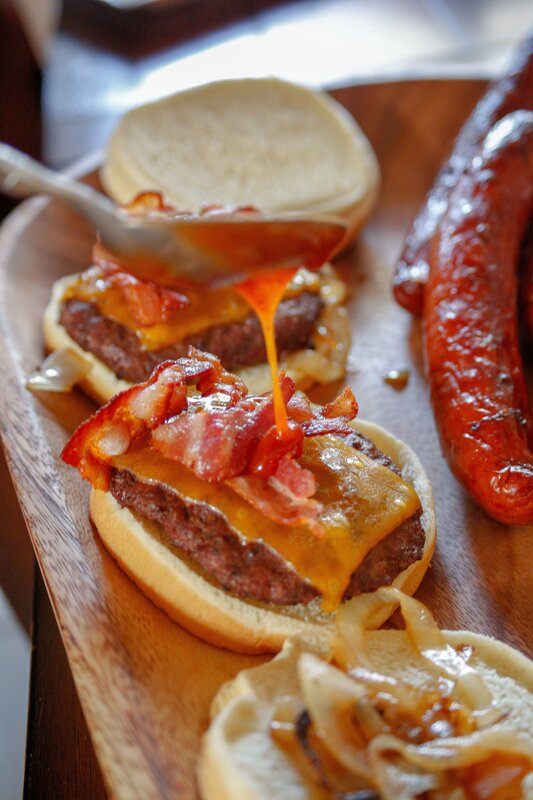 Assemble the burgers by layering sauteed onions, burger patty, bacon, and barbecue sauce on a hamburger bun. 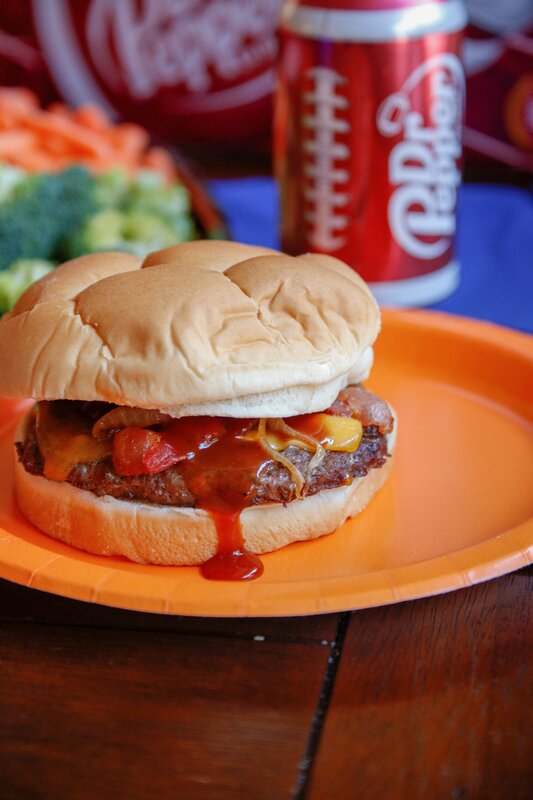 For the barbecue sauce on the burgers, you can use store bought or make your own. 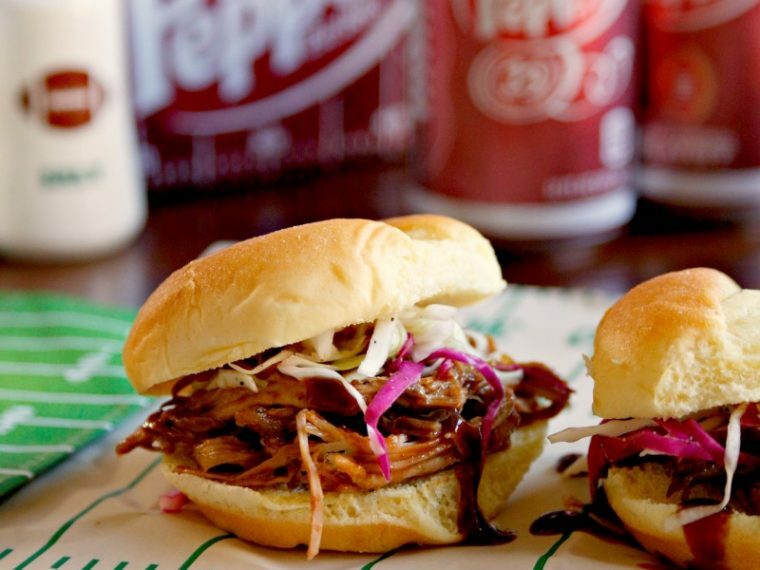 I have a delicious Dr Pepper barbecue sauce recipe that I used on our burgers and it was as yummy as it always is. 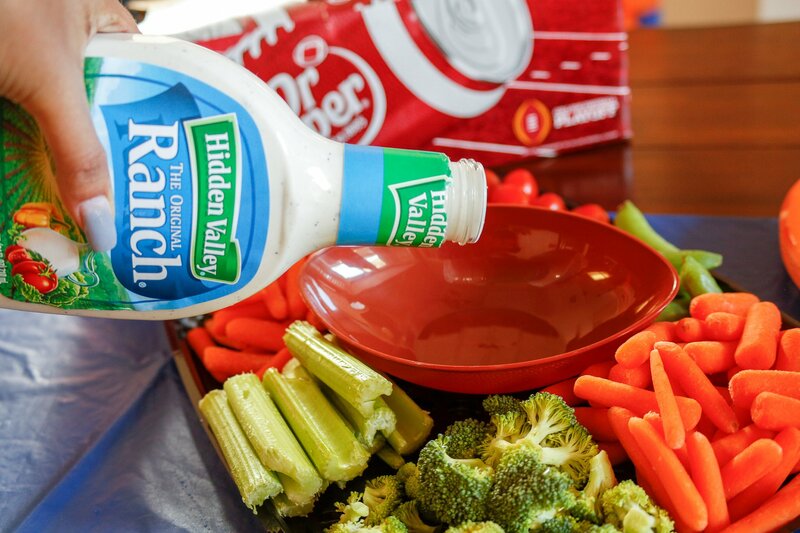 Another game day staple I picked up from Walmart is Hidden Valley® Original Ranch® Dressing . 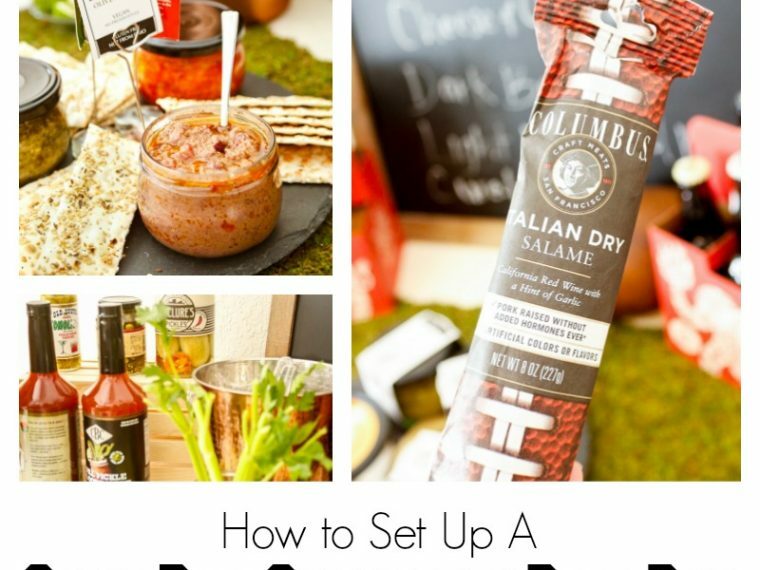 Even though I love tailgating, I really love the convenience of homegating for game days. 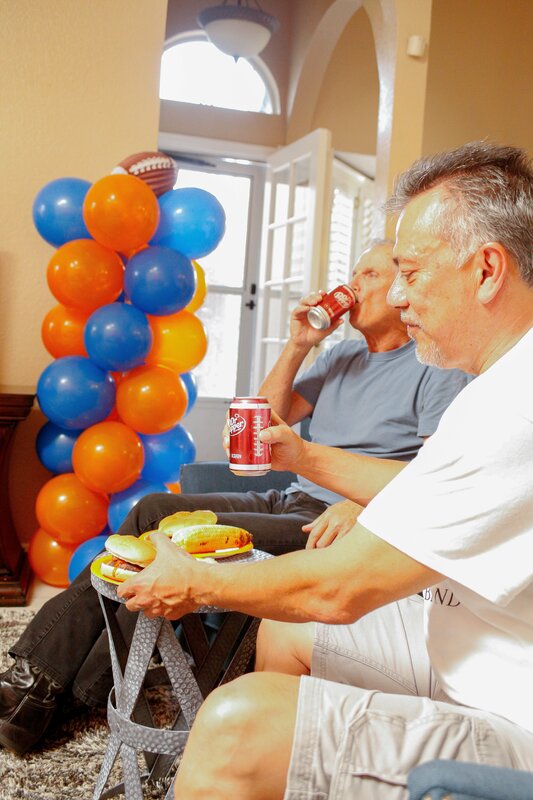 We can be comfortable eating during the game and it's just a short walk to my buffet setup during a commercial instead of missing any action by heading to a concession stand when you're at the stadium. I love game days!!! 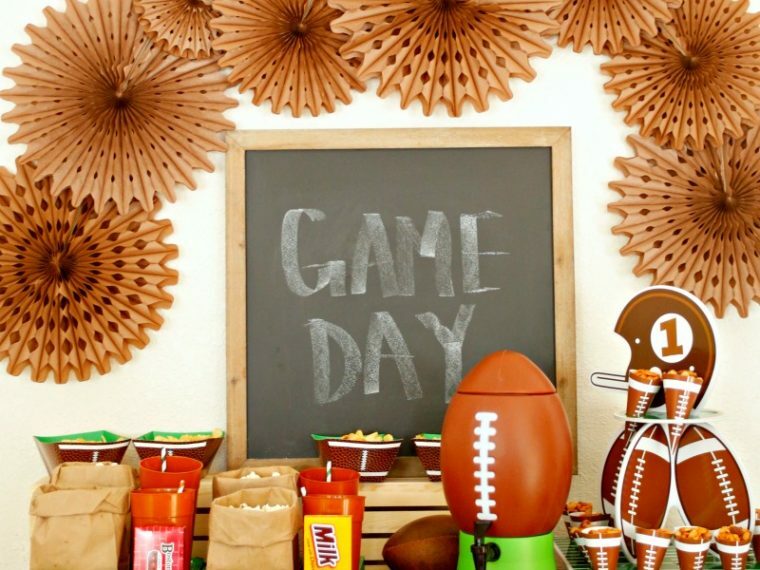 Fire Up Your Fan Day with ideas here. That's it for this college game day celebration. Until next time!